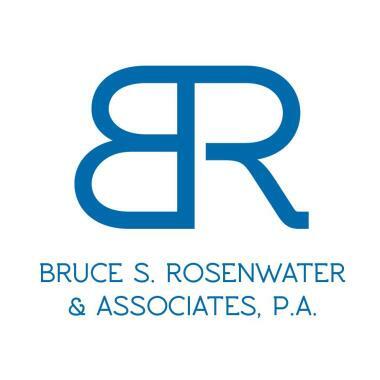 Real-time Service Area for Bruce S. Rosenwater & Associates, P.A. The best part of my experience was my interaction with Paralegal Peggy May. She always kept me informed and answered any questions I had in a timely manner. She went above and beyond in my opinion. Bruce wasn't bad either. I was very pleased with the professionalism that Rosenwater & Associates provided me when I transferred Property and had Wills and Trusts implimented. Bruce has been unbelievably patient, thorough, calming and instrumental in securing the desired outcome in a potentially disastrous issue for my Mom. I would not hesitate to use his services in the future. I highly recommend him. Great staff, always there when needed and will always hire them when needed. Received exemplary service from Lisa Cyr who acted as paralegal in my recent US purchase. As a UK citizen, the advice and assistance I received was highly valued and made the transaction hassle free and straight forward. They've been professional, friendly, attentive, considerate, and helpful. They took my Chapter 7 case to a very satisfactory resolution. I can't recommend them enough. If you're having financial troubles, give them a call! They were understanding of my circumstance and delivered a successful result under extreme hardship. Submitted review for Bruce Scott Rosenwater Highly Recommended 5.0 stars Posted by Alan October 25, 2018 I hired Bruce at the last minute to help me with a complicated custody matter, he was available to me when I needed him, on top of things immediately and provided a vigorous defense to an unscrupulous lawyer who was on the other side. Peggy kept me in the loop every step of the way and was a sympathetic ear when I needed one. I highly recommend this firm! Katie: Please provide a comment and your 5 star review. It's greatly appreciated. Thank you. Good afternoon Cesar: Please provide a 5 star review of my services for you. It is greatly appreciated. Thank you! Purchase of 115 Fern Street. Thank you!! Hi Ken: Please provide your review of my services. It's greatly appreciated. You have always been a pleasure to work with. Thank you.